There are so many variations of popular vegan chocolate chip cookies. I know that I’ve made my fair share. 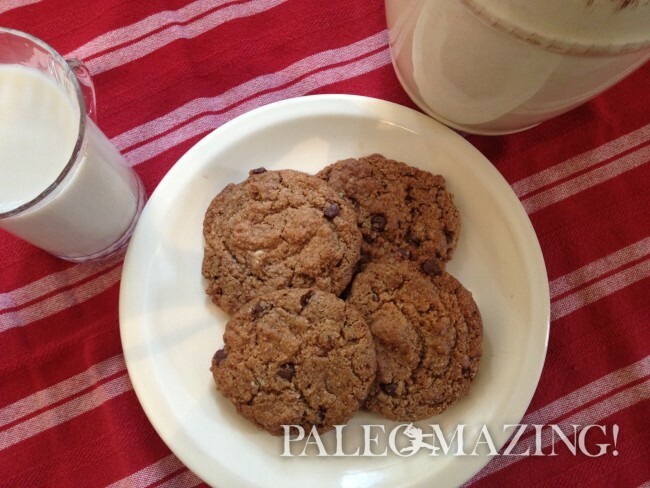 I’m happy to share another variation with you that combines all of the healthy goodness of a paleo cookie with all of the deliciousness of tigernut flour and chocolate. Grease your cookie sheet or use parchment paper on a cookie sheet. Mix all of the ingredients in the order listed, chocolate chips last. Scoop heaping tablespoons or small ice cream scoops of dough onto your cookie sheet. Bake at 350F for 10 minutes or until golden brown. At 5 minutes, check for doneness. Freezing the cookie dough for later use works well. Keep air tight.